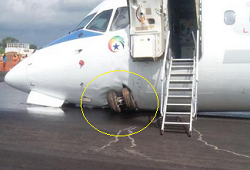 Flight S9 110 from Accra to Tamale suffered a broken nosegear leg whilst landing (prob. on runway23). The nosegear collased sideways and became wedged below foreward fuselage. 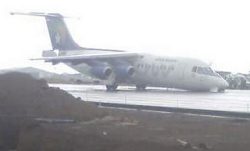 The aircraft skidded to a stop beyond the end of the runway, coming to rest on a portion of the runway which was closed because of runway upgrading works in progress. 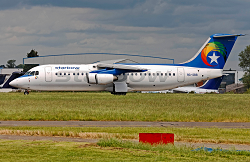 It is still unclear wether the damage occured during nosegear touchdown or during deceleration. 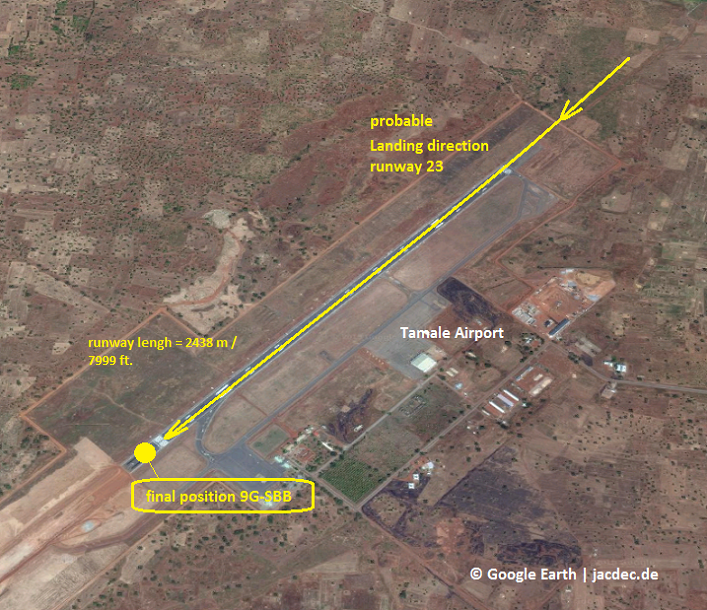 Local media reports the aircraft may have hit „a barrier“ on the runway. There is no airport weathger avialable for Tamale, but according to other sources, the weather consisted of occasional rain, with sudden winds and local thunderstorm activitiy.